Almost any celebration is the perfect opportunity to make this basic white cake recipe. Dress this cake up in whatever frosting and decorations you like. Bake it for a kid's birthday or even a wedding! 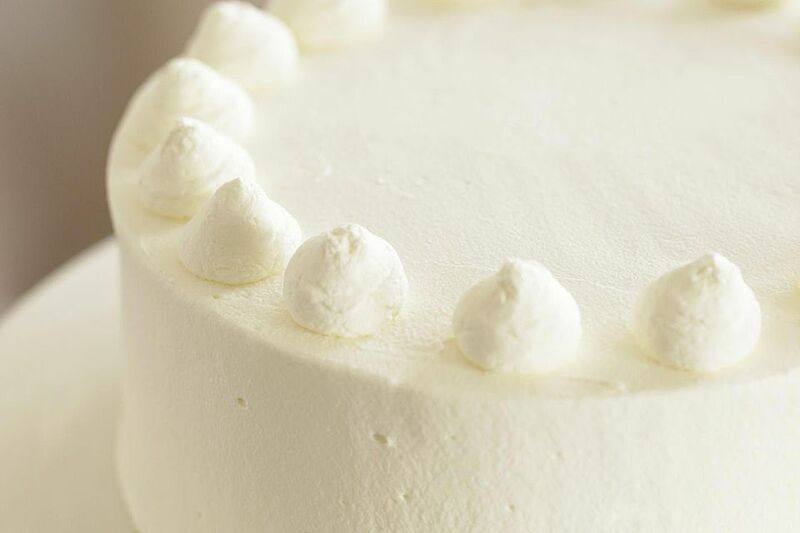 This cake is a blank canvas that is ready for your baking inspiration. Preheat oven to 325 F. Grease and flour 2-9 inch cake pans. With an electric mixer, cream butter and sugar. Mix in vanilla. In a separate bowl, combine cake flour, baking powder, and salt with a wire whisk. Add flour mixture alternately with milk until all combined. In a clean, dry bowl beat egg whites until stiff but not dry. With a rubber spatula, add a scoop of egg whites to cake batter. Then fold in the rest. Carefully, divide batter between pans. Bake for 25 to 30 minutes. Test with toothpick for doneness. Cool cakes in pans on a rack for 15 minutes. Remove to racks to cool completely. Don't want to sift the cake flour? If you don't, you may end up with tough baked goods. Clear vanilla is used here so that your cake will be whiter. If cake color isn't a concern, then you might want to use a pure vanilla instead.